To conduct business analysis for the industry . To analyze and determine reasonable rates I charges for air transport. To advise the Director General on all matters related to corporate planning. To prepare plans and project documents for submission to stakeholders. Holder of a Bachelor degree in Economics or Transport Management from a recognized Higher Learning Institution. Master Degree in relevant field will be an added advantage. Salary: According to TCAA Salary Structure. •	Successful candidates will be appointed initially on one year probation period and thereafter if successful on unspecified period contract depending on the age of the employee. •	Legal Requirement: All employees of the Authority are required to observe the TCAA Code of Conduct. 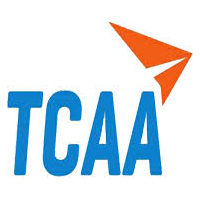 •	Other terms and conditions of service are as promulgated in the TCAA Staff Rules. •	Only successful candidates will be contacted. •	Shortlisted candidates will be required to meet their own costs of travel, accommodation and other matters in relation to the interview. • Applied post should be clearly marked on top of the envelope and sent to the address below.